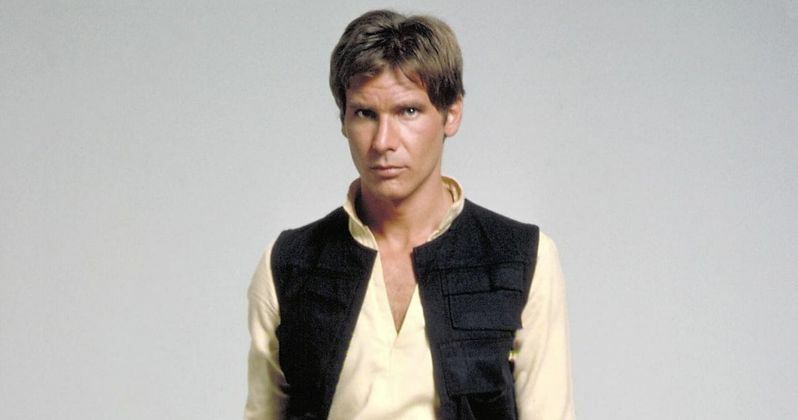 Disney's blockbuster Star Wars: The Force Awakens brought back the iconic Han Solo (Harrison Ford) for the first time in 32 years, although this reuinon with fans was bittersweet, to say the least. While there have been rumors that this beloved character will return in Star Wars: Episode VIII, nothing is set in stone yet, but even if he doesn't appear in that movie, we'll get to see a younger version of Han Solo in the new Star Wars spinoff Star Wars Anthology: Han Solo. As of now, Disney and LucasFilm haven't made a final decision about who will be cast yet, a report from earlier this month revealed that Jack Reynor and Logan Lerman are on the short list for this role, and both of them recently spoke about this project with MTV. Jack Reynor and Logan Lerman were among the finalists up for the Han Solo role, which also included Miles Teller, Ansel Elgort, Dave Franco, Scott Eastwood, Emory Cohen and Blake Jenner. While Jack Reynor couldn't say much about the casting process, he did tell MTV at the Sundance Film Festival that whoever lands the role can't simply "imitate" Harrison Ford. Here's what he had to say below. "We're talking about Harrison Ford. He's no chump. You can't do an imitation. You can't try and just emulate what that is. It's got to be something new. It's also got to be something that the audience is going to respond to." The Star Wars Anthology: Han Solo spinoff will focus on how young Han Solo became the smuggler, thief, and scoundrel whom Luke Skywalker and Obi-Wan Kenobi first encountered in the cantina at Mos Eisley. Phil Lord and Chris Miller (The Lego Movie) are directing from a script co-written by Lawrence Kasdan (Star Wars: The Force Awakens) and his son Jon Kasdan (In the Land of Women). Production isn't expected to begin until January 2017, but the site reports there is a good reason why they wanted to cast this iconic character so soon. Rogue One: A Star Wars Story, which is set between Star Wars: Episode III - Revenge of the Sith and Star Wars: Episode IV - A New Hope, still has over one month of shooting left, and there are rumors that this new Han Solo may have a cameo appearance in the first spinoff, before appearing in his own movie. That has not yet been confirmed, but whoever plays the new Han Solo would be "age-appropriate" for an appearance in this spinoff. Directors Phil Lord and Chris Miller are said to start testing this group of actors, with a final decision expected to be made in the next two weeks. When asked about this potentially life-changing role, Logan Lerman wouldn't say much, but he did say the prospect of playing this character would be more fun than intimidating. "I don't think I'd be intimidated. It would just be fun." Disney and LucasFilm are now focusing on actors between the age of 20 and 25 for this coveted role. All of the aforementioned actors fit within this age range, except for 29-year-old Scott Eastwood. The studio previously tested actors between the ages of 17 and 34, but now it has narrowed the age range. Do you think either Jack Reynor and Logan Lerman should play the young Han Solo?